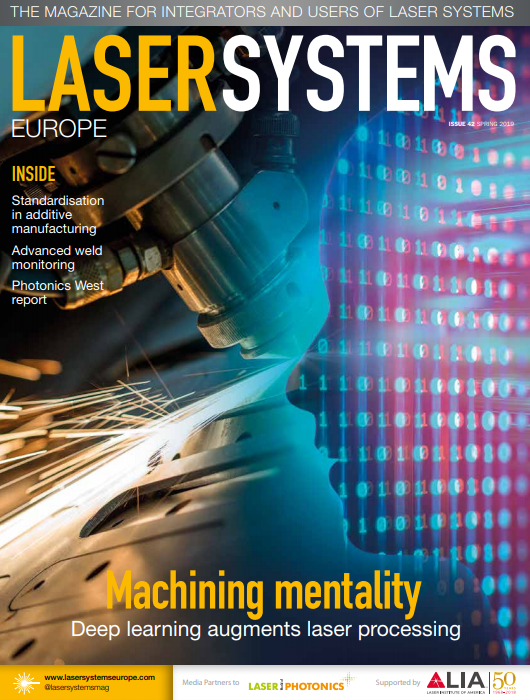 Whether it’s cutting, engraving, marking, welding, cleaning or strengthening, the use of lasers on both organic and inorganic materials inevitably leads to the release of potentially harmful particles. In the UK, the term ‘laser-generated airborne contaminants’ has been applied by the Health and Safety Executive to these emissions in order to differentiate them from the gases or vapour occurring from alternate processing methods, such as traditional welding. Particles smaller than 1µm are considered to be respirable, whereas particles less than 0.3µm can overcome the lung-blood barrier, and it is these that are of particular concern. In order to ensure the safety and well-being of workers, companies need to invest in suitable vacuum extraction and filtration. He continued by adding that in addition to reducing the toxicity within the surrounding atmosphere, vacuum extraction systems serve to avoid defocusing the laser due to particles in the beam path, and to protect the mechanical and optical components for high production quality. By sufficiently filtering the air, no residue remains on the component due to particle deposits or unintended chemical reactions, thereby extending the life of the laser system – especially the lens. Typically, filters used within this area include saturation filters and cartridge filter units; a combination of a fine dust filter, HEPA filter and activated carbon; and chemical absorption filters. At Teka Absaug- und Entsorgungstechnologie, a company specialising in filtration technology, the filters used belong in the H13 class, which means that 99.95 per cent of particles within the hazardous range, including those less than 0.3µm, can be filtered out. This level of filtration is standard across the industry due to its necessity. There are two main approaches for how to deal with hazardous emissions. According to John Horsey, research and applications engineer at Bofa International, some organisations continue to vent the fumes to the outside atmosphere; however most recognise the benefits of filtration and returning the air back into the factory, rather than pure extraction. This is particularly crucial in cases where a facility is situated near a residential area. This also offers a degree of flexibility as the facility is then free to move the laser within the workspace without the need to install new ductwork each time. Horsey agreed that the extraction market is changing and he attributes this to the fact that greater publicity, and activity by fume extraction companies, has raised the awareness of the hazards of laser-generated airborne contaminants. ‘This increased awareness has contributed to a much greater uptake of local fume extraction, from around 30 per cent to nearer to 60 per cent of laser users,’ he commented. So what exactly are the expectations of laser users when it comes to filtering and extraction? ULT’s Jakschik explained that users want extraction systems that offer low energy consumption, are easy to use, quiet, compact and that deliver a high level of security that ensures the effectiveness of filtration. As with every industry, there is no guarantee that these expectations will be met; however, users that avail themselves of specialised consultancy to undertake thorough planning stand a far better chance of getting the best possible system. ‘Individual planning is essential,’ Jakschik commented. ‘Depending on the laser power, repetition rate and material to be worked with, different hazardous matter can [be produced] and so it’s critical that the correct extraction system be selected. Once this has been done, a smaller filter device could be found that would save energy and be more cost effective.’ He added that it’s important to note that not every supplier of filter units can deliver this level of consultancy. Horsey believes that there should ideally be a greater degree of interaction between the extraction company and laser company, particularly in the design of the extraction hood. However, he also suggests that this is generally not possible because the cost value of the extraction unit is relatively low compared to that of the laser, making individual design attention non-viable. ‘Often, interaction at individual applications only occurs when there is a problem,’ he said. The danger here, as Giebken highlighted, is that the category of emissions being produced by the laser system – which, again, would be specific to the individual application – dictates the type of filter required. If questions regarding emissions aren’t being addressed until towards the end of the project, users may find the filtration system would not be adequate for their needs. ‘Small pieces of information given at the end of the process can mean the difference between two opposite filtration systems,’ he explained. ‘As an industry we have to think in more encompassing terms from the very beginning of a project. It starts with extraction capacity, given in cubic metres, and it ends with the filter class – and all of it is connected to the process itself.’ Giebken added that forming closer relationships with laser companies is a critical goal, as although companies like Teka are able to help with extraction and filtration technology, they will be able to do so far more effectively if the flow of information within the industry is improved. The laws and regulations pertaining to fume extraction can differ from country to country. Here, the focus is on those that apply in the UK and Germany. Regulation 6: Requires risk assessments to be carried out, including consideration of any relevant workplace exposure limits. Regulation 7: Where an employer can’t avoid the generation of a harmful substance, this regulation sets out the requirement to apply protection measures and their order of priority. Regulation 8: Where an extraction system is provided by an employer, it is a legal requirement that employees make ‘full and proper use’ of it. Regulation 9: When an extraction system is installed it must be thoroughly inspected and tested at least once every 14 months (in practice every 12 months). A suitable record must be kept of the examination and tests, for at least five years. Regulation 10: It is a requirement that a ‘personal sampling and gravimetric analysis’ be carried out for workers in the area of a possible source of airborne contaminants if it is not possible to demonstrate by another method that fumes are being adequately extracted. Regulation 12: Employers are required to provide training for workers likely to be exposed to a hazardous substance. This has to include details of these substances, including their workplace exposure limit. 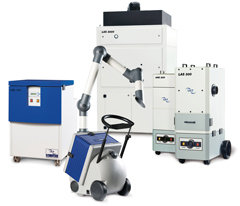 These laws and regulations apply to all workplace processes including lasers, one difference being that laser fume extraction systems are often not recognised by health and safety practitioners as LEV systems to which the COSHH regulations should be applied. Within Germany, there are three main laws and regulations to consider regarding implementations: Arbeitsschutzgesetz, Gefahrenstoffverordnung, and technical rules for hazardous substances. Within Arbeitsschutzgesetz (Working Environment Act), operators have to identify and assess the risk of the respective work. Work can only be started when a risk is identified and respective precautions are realised. There are four general principles involved: avoid as many hazardous substances as possible, extract hazards directly at the source, consider state-of-the-art technology, and individual protection. Gefahrenstoffverordnung is the Ordinance on Hazardous Substances of the Federal Institute for Occupational Safety and Health, and it serves to define exposure limit values of the identified relevant harmful products. Finally, there are technical rules for hazardous substances that include specific guidance on the Hazardous Substances Act for individual processes. Laser welding, for example, is governed by TRGS528. Information provided by John Horsey, research and applications engineer at Bofa International, and Alexander Jakschik, CSO and managing director of ULT.